There’s a well-worn riddle that asks if a tree falls in a forest and there’s nobody there, does it make a sound. As the human population expands, that question is becoming increasingly redundant. New research published in Current Biology shows 3.3 million square kilometres of the world’s remaining wilderness has disappeared in the past 20 years. The Amazon and central Africa are the areas hardest hit. The red patches on the map below show where wilderness has been lost since the early 1990s. In total, 10% of all wilderness areas on Earth have vanished in just over two decades. Just 23% of the Earth’s land surface is now classified as wilderness. What’s left is under serious threat from human activity. The infographic below shows rainforests have suffered the biggest losses over the past two decades. 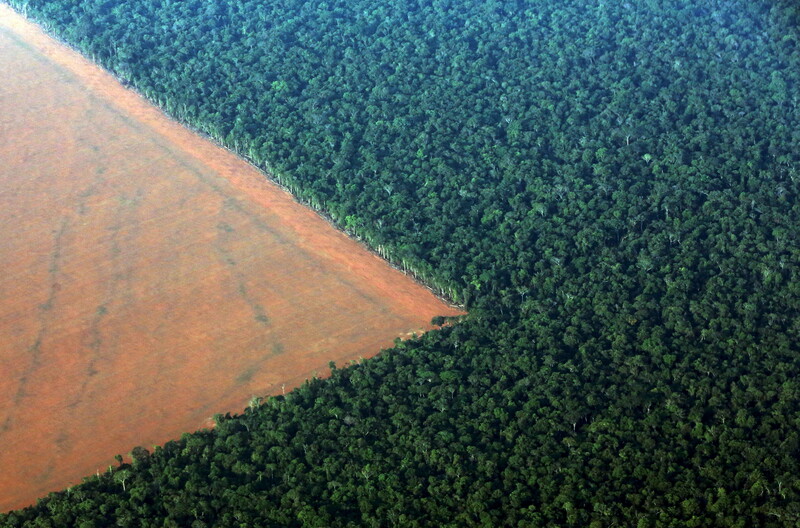 The Wildlife Conservation Society (WCS) says the Amazon stands at a crossroads. Illegal logging, mining and the trade in wildlife threaten one of the Earth’s most important areas of wilderness. The WCS says that without a determined local and global effort to protect the landscape and biodiversity of the Amazon, the world’s biggest rainforest will continue to decline. James Watson, Associate Professor at the University of Queensland, Australia, and Director of Science and Research Initiative at the WCS, led the research team. He says we can still save the wilderness, but time is running out. “We probably have one to two decades to turn this around. The substance of Watson’s warning was the basis of the American Wilderness Act which came into force in 1964. As technology takes us into a Fourth Industrial Revolution, we would be wise to remember the words of President Lyndon B. Johnson as he signed the Act. “If future generations are to remember us with gratitude rather than contempt, we must leave them something more than the miracles of technology. We must leave them a glimpse of the world as it was in the beginning. General disclaimer: The designations employed and the presentation of material on this map do not imply the expression of any opinion on the part of the World Economic Forum concerning the legal status of any country, territory, city or area or of its authorities, or concerning the delimitation of its frontiers or boundaries.